Why Are Jazzmasters Still So Popular? Not that long ago, I did an AMA on reddit where I had the chance to field some questions about Reverb, vintage guitars and the gear market in general. A question came up that I had heard before that really got my wheels turning: what accounts for the surge in popularity with Jazzmasters in recent years? The increased ubiquity of Jazzmasters and other offset guitars is not a new phenomenon, but it's certainly one that's still going strong. Fender has expanded their catalog of Jazzmaster options in the past couple years with a number of models, including a MIM Standard Jazzmaster, not to mention the seemingly endless list of non-Fender offset options. This class includes high-end vintage homages from the likes of Fano and Nash, as well as more modern interpretations from makers like Kauer, Bilt and dozens of others. The popularity of the body shape and style is clear, but the question still remains: how has this once overlooked model earned its station as the go-to axe for countless up-and-coming bands from an expanding range of genres? Here are some of my theories based on close observations of the market and first-hand accounts from various players, collectors and sellers. Perhaps the most obvious justification for this trend is the ever-increasing popularity of that most amorphous genre of popular music: indie rock. In the '80s, when indie rock as a tangible style was taking form (see Michael Azerrad's Our Band Could Be Your Life for more on this topic), used Jazzmasters were cheap compared to Strats, Les Pauls and other mainstream models. This meant that players in budget-minded bands -- or bands like Sonic Youth that enjoyed monkeying with their instruments -- could find used ones on the cheap in pawn shops and guitar stores. Jazzmaster icon J Mascis of Dinosaur Jr, for example, has retold in many interviews how he only started playing a Jazzmaster when the shop he visited to buy a used guitar had sold all the Strats in his price range. Elvis Costello similarly recalls finding his now iconic stripped brown Jazzmaster that had been refinished with furniture varnish in a used shop. This means that modern players who look to the likes of Nirvana and Television as their musical touchstones are looking at bands with with Jazzmasters and Jaguars in their hands. That's not to say that affordable pricing is the only reason that Jazzmasters resonated with seminal indie rockers. There are some innate design components that make it an especially adept tool for the noise-laden styles of the genre and era. And while its proponents may deny it, there is definitely a certain anti-establishment appeal that comes with using an out-of-the-ordinary guitar. After all, the only thing more indie and hipster than playing a guitar that was overlooked by your parents' generation is denying that its obscurity has anything to do with it. When I ask most of my friends who play Jazzmasters why they gravitate towards the design, I often hear about the importance of pedals. There's something about the extra noises that come out of the soapbar pickups combined with the sonic contouring of the bass and treble circuit selector that helps accentuate the tones of all manner of guitar effect. Kevin Shields of My Bloody Valentine is a clear example of this usage, as is experimental icon, Nels Cline. In this way, you can see the expansion boutique pedal market and the boutique pedal junkie as inextricably tied to the popularity of the Jazzmaster. There are more boutique pedal companies in existence than ever before, so if you're feverishly collecting and sampling all the many fuzz boxes and delays that come out each year, it makes sense to use a guitar that's known to bring out their best qualities. Similar to the boutique pedal connection is the much celebrated floating tremolo system that's been on the Jazzmaster (as well as the Jaguar) since its introduction in 1958. 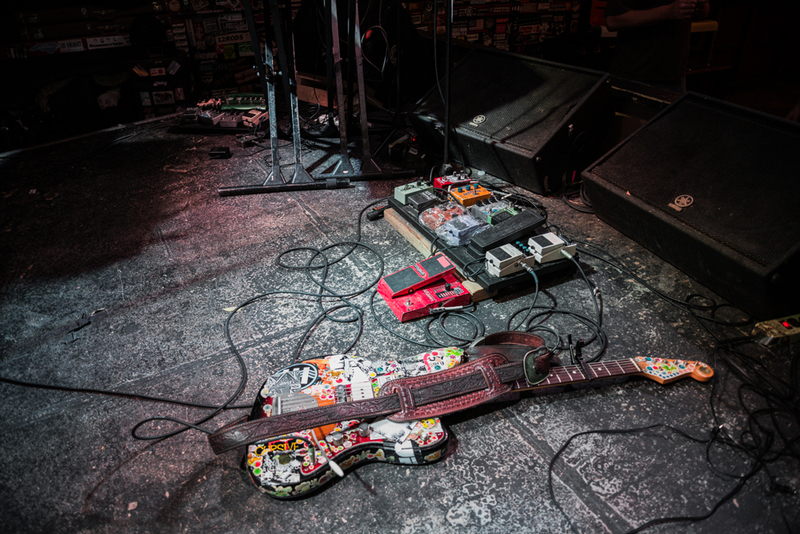 In indie rock circles, and as an absolutely central component to the shoegaze revivalism of the late-aughts, the floating tremolo system provides a warble and pulse that no Strat-style trem arm or even a stately Bigsby can touch. When paired with a hefty dose of reverb and fuzz, the constant up-and-down movement of the trem arm is a standard tool of the noise rock trade. Vintage guitars in general tend to have something of a generation lag in popularity. When young people come to establish a musical style as their favorite, this is also the time where their taste in guitars solidify. With lots of players, however, it might be another thirty years before they're in a financial position to make any pricey vintage or high-end guitar purchases. The vintage guitar boom that occurred starting in the early '90s, for instance, was fueled by guitars that are most closely associated with the popular music of the '50s and '60s like Stratocasters and ES-335s. If we can accept that the rise of indie rock is vital to the rise of the Jazzmaster, we can see this same effect occurring. Players that idolized the J Mascis and Thurston Moore in the early '90s are only now coming to a point where they can invest a little extra scratch in a high-end guitar. This has not only led to an increase in interest in vintage Fender Jazzmasters, but in high-end boutique Jazzmaster-esque guitars as well. It's important to keep in mind, however, that vintage Jazzmasters are still relatively cheap when compared to their mainstream counterparts. 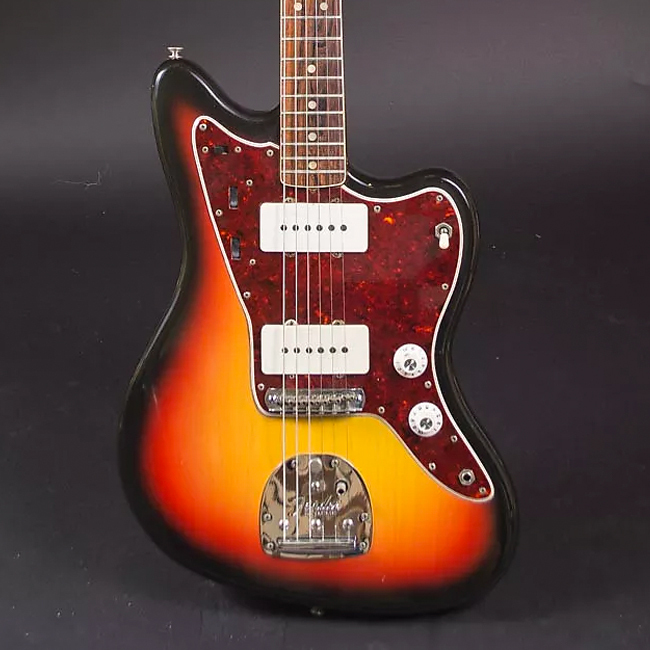 The most expensive Jazzmaster to ever sell on Reverb sold about a year ago for around $8,000. It was a 1962 model in a rare Blonde finish in immaculate condition. Right behind that was a '64 Jazzmaster in a stunning Lake Placid Blue that went for around $7,500. Now compare those figure to the $15,000 or more a Stratocaster from the same era might fetch, or the $20,000 plus you'd need to shell out to land an early year Telecaster. It seems then that the rise of the Jazzmaster as one of the world's most popular guitars still might be relegated to a visible minority, but one that commands plenty of festival stage time, appearances on late night talk shows, and headlines in hip music blogs. And, of course, if the embrace of the Jazzmaster can be seen as partially a reaction against the mainstream, there will inevitable be a backswing of some kind as it becomes the thing it was trying to avoid. We'll have to wait and see what supplants the offset icon as the new cool, but for now I'll just point out that "telecaster" remains the single most searched word on the Reverb marketplace.